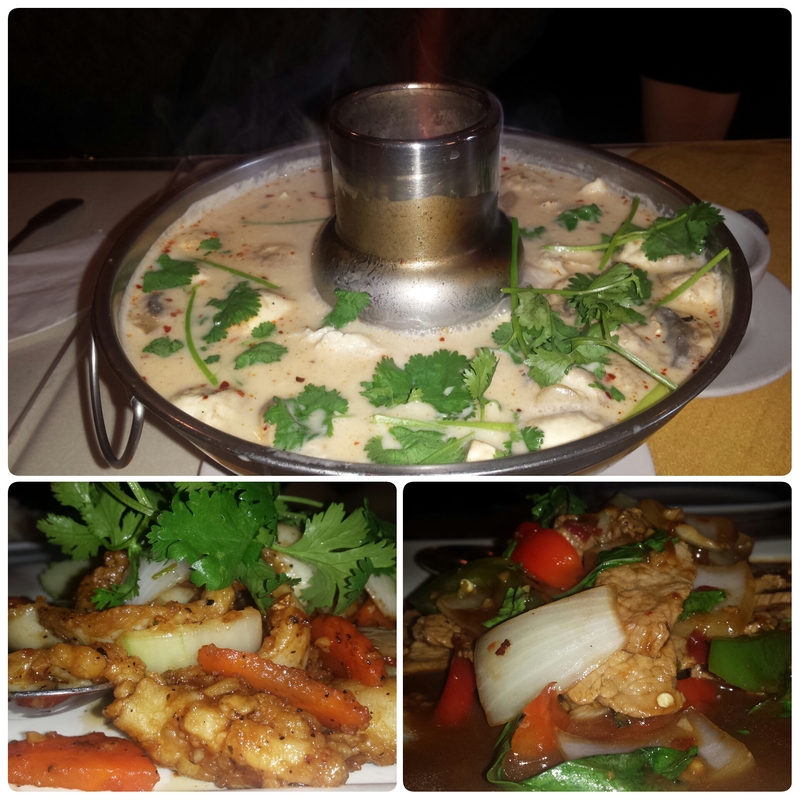 June 10, 2015 June 10, 2015 ~ Trevis Dampier Sr.
Every Thai place I’ve been to usually has certain items on the menu that you’ll find similar in description, like fried catfish, different types of soups and also many Thai basil flavored dishes. Tom Kha Kai is hands down one of the best soups I have ever tasted in my life and can be found in pretty much every Thai restaurant you may find. It is tender thin cut slices of chicken simmered in coconut milk broth with lime juice, lemongrass, galanga, and cilantro. Just imagine hot and medium spicy coconut flavored juices running down your throat, with exotic flavors tickling you internally as it rolls down to your stomach. The chicken almost melts in your mouth and the coconut milk broth is so good that you can pour it over your rice for super enhancement. Other than the soup, I come to Siam Thai specifically for the calamari with garlic sauce. This is the best calamari dish I have ever had and there is nothing like it anywhere! Calamari fillets sautéed with fresh garlic, black pepper, and Thai herb that make you just want to slap yourself. Each bite gives you a reasonable slab of calamari to dig into, with a flavor that is just plain out ridiculous! The punch it has with the flavor is nothing I have ever experienced and it is so welcoming to the palate that it makes you want to order two servings. In addition to these great masterpieces, I also ordered the chicken with Thai Basil. It is sliced chicken breast sautéed with chili, garlic,sweet onion, and Thai basil. This dish was another slam dunk with its rich flavor; and a spice that will punch you in the face, but not so hard that it hurts, but more like a love tap. All of these dishes combined made me one of the happiest men on the earth! Truly a meal to remember! True live action eating! Good job Siam Thai! < Previous You’ll need a Bib and a Fork to Eat this Pulled Pork! Next > I’ll Place all Bets on Grilled Chicken on a French Baguette!